Known in the Himalayas as “white gold”, Himalayan Crystal Salt contains the same 84 natural minerals and elements found in the human body. This form of salt has also been maturing over the past 250 million years under intense tectonic pressure, creating an environment of zero exposure to toxins and impurities. 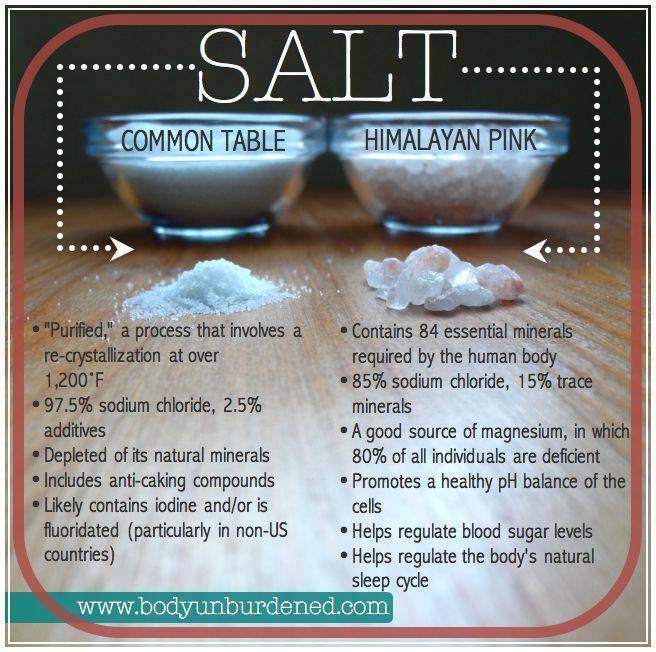 Many people are unaware that common table salt contains chemicals and even sugar! Salt is necessary but can be dangerous if taken in this chemical form. Table salt is composed of 97.5% sodium chloride and 2.5% chemicals like iodine and absorbents, and sugar. 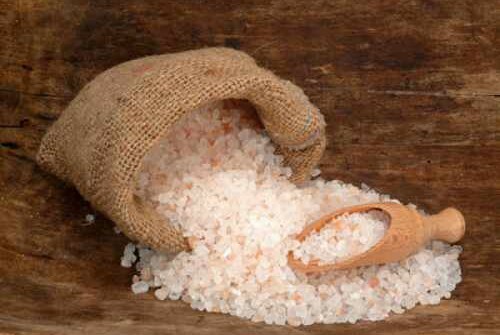 Common salt is dried at more than 1,200° Fahrenheit, a process which zaps many of the natural chemical structures. The table and cooking salt found in most homes, restaurants, and processed foods is void of nutritional value, lacking beneficial trace minerals. Processing salt turns it into sodium chloride, an unnatural salt the human body actually sees as a toxic invader! The body cannot dispose of it in a natural, healthy way which can lead to irritation of the tissues, water retention and high blood pressure. Processed salt crystals are also energetically dead, as their crystals are completely isolated from one another. For the body to metabolize chemical table salt, it must waste tremendous amounts of energy to keep the body at optimum fluid balance. This creates a burden on the elimination systems in the body. Water is removed from other cells in attempt to neutralize the unnatural sodium chloride. Studies show that for each gram of table salt your system cannot process, your body will use over twenty times the amount of cellular water to neutralize the sodium chloride in chemically-treated salt. This can lead to cellulite, rheumatism, arthritis, gout, as well as kidney and gallbladder stones. Choosing to use Himalayan Salt as an alternative can have a big impact on your total health and well-being. Published on May 15, 2009.
pressure the message home a bit, but instead of that, this is magnificent blog. We're working on an online store to help you find what you're looking for faster and from anywhere. Our aim is to serve you better but having your favourite products delivered to your door.